Ready to join the HoneyLove team? Please complete the following online application. What type of activities would you like to assist with? Select all that apply. We will never share your personal information with anyone without your permission. Please select any of the following skills that you currently possess. Submitting your resume improves your chances of being accepted as a volunteer. Please provide 2 references (no family members, please). If volunteering for education with kids, references must include a supervisor from a volunteer or employment position involving children. If volunteering for beekeeping, references must include a beekeeper. We'll only contact these references after your final interview, if one in scheduled. Please select all days you have any availability. 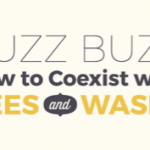 You will be asked to sign a waiver releasing HoneyLove from any liability related to beekeeping activities, if you choose to participate in them. 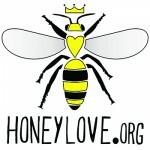 Please review HoneyLove's Volunteer Service Agreement and Policies. If you do not agree to these terms, please do not submit this application. If you have any questions or concerns, email info@honeylove.org. I have read and understood HoneyLove's Volunteer Service Agreement and Policies, and I agree that, if my application is approved, my participation as a volunteer shall be governed by them.